A playful approach to London’s horrifying real estate prices. The first thing you need to know is that the United Kingdom has its very own Monopoly board. While the classic game lets Americans loose in New Jersey’s Atlantic City, British real estate hounds can buy up properties in one of the most expensive cities in the world: London, England. Since 1935, when the Parker Brothers first licensed the creation of a U.K. Monopoly board, London has gotten even more expensive. Exactly how mind-bendingly pricey? That’s the question explored by a new game board by the international roommate-finding website Weroom, which helps users track down “flatshares” in a number of British, French, Belgian and German cities. Yes, that’s right. The Monopoly price for a room on Euston Road is worth four days of rent today. A month is going to set you back £821, more than 8 times the original Monopoly price. The £60 that scores the carefree Monopoly player a property at Whitechapel Road would translate to just 45 hours and 36 minutes of real-life shelter in 2015. 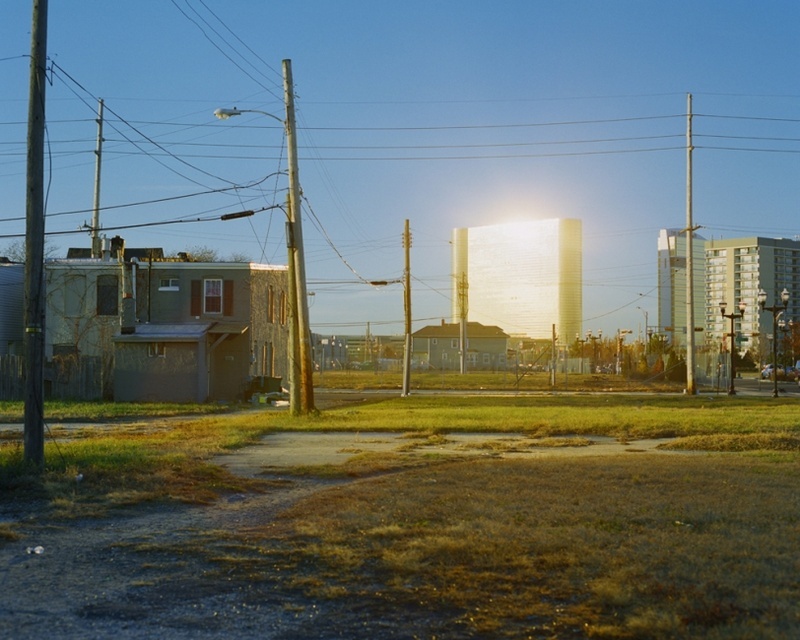 One photographer's investigation of Atlantic City shows how far the city is today from the romance of the classic board game. The good news is that Londoners who wish for a moment’s reprieve have an exciting prospective distraction: Monopoly. The original version.